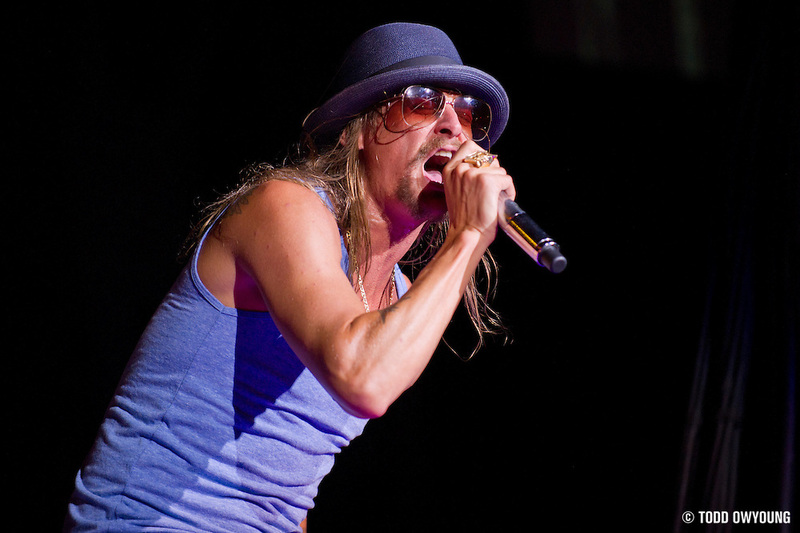 If you've never seen Kid Rock before, it only takes one time to be a believer. Love him or hate him, after seeing the Kid live you have to admit at least one simple truth: the man is a natural performer. 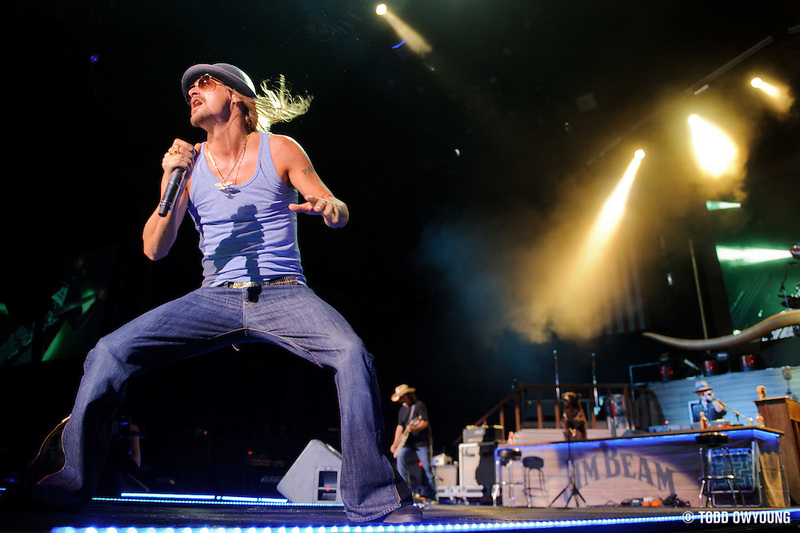 Kid Rock is pure entertainment. 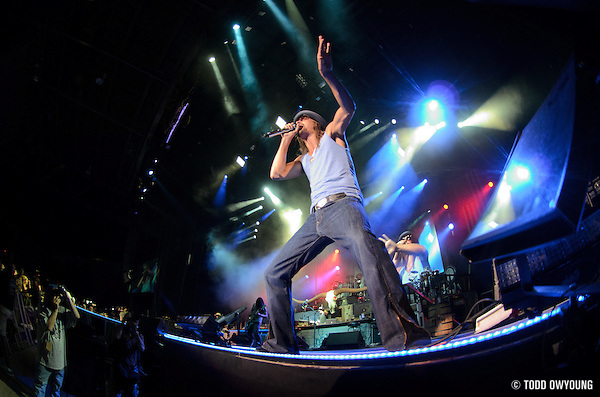 All that said, what's fun to watch as a fan can be hugely difficult to capture as a music photographer, and this is a point Kid Rock's shows make plainly evident. As with Sheryl Crow's set, a small extension to the stage divided the photo pit into two halves, with access limited to the stage-left side. 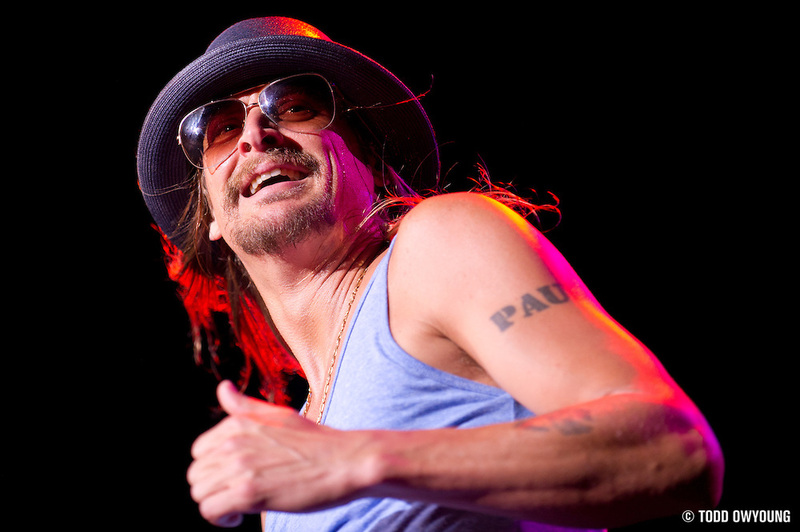 For most performers, this wouldn't have been too bad, but for Kid Rock it did sting a little. 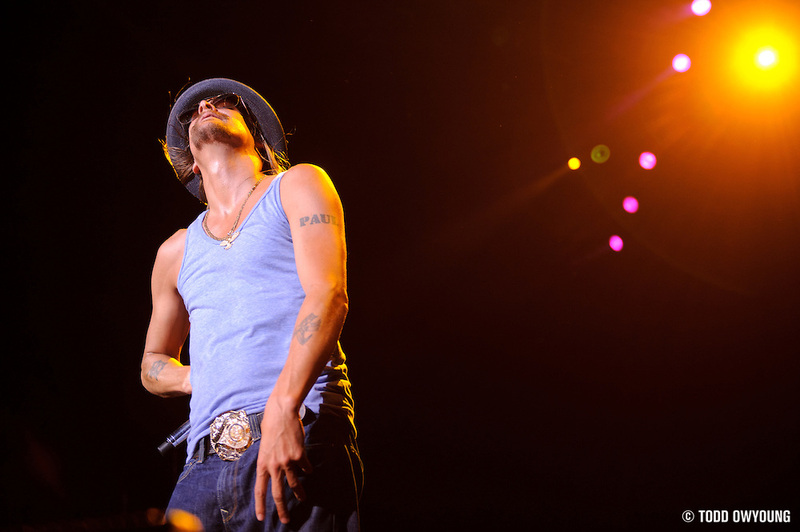 For with Kid Rock's performance, most of his performance took place on that small thrust, so almost all the shooting was done from his side, severely limiting angles. 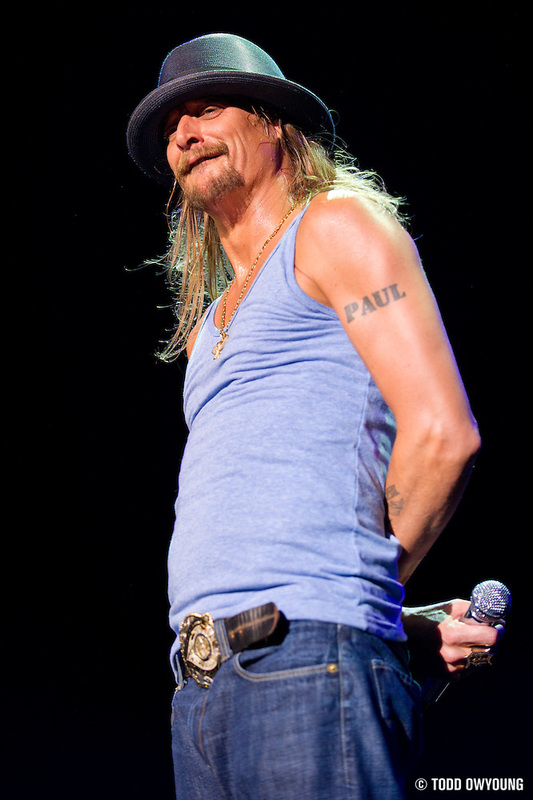 Thankfully, Kid Rock is a pro and worked the audience, giving just enough eye contact stage left so that press could get more of a 3/4 shot of his face instead of just profile. 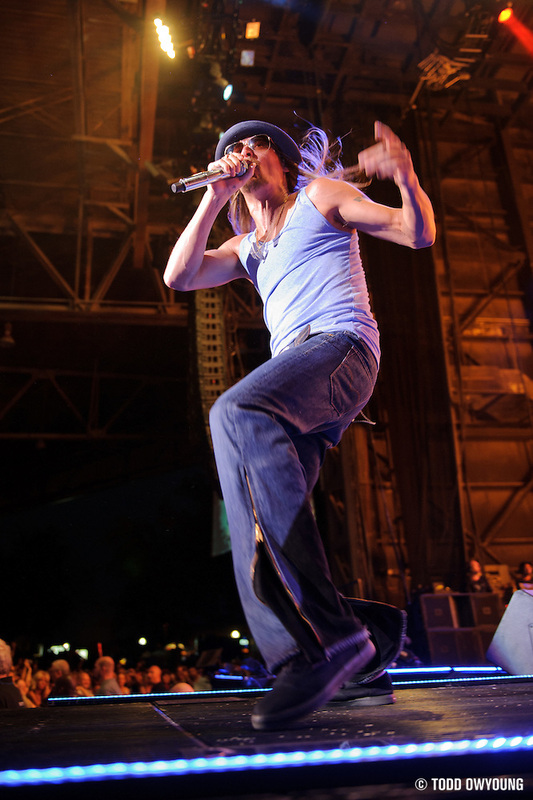 In addition, during song two, Kid Rock came out to the left side of the stage, which allowed a little more variety, too. Overall, lighting was great – plenty bright with the spotlights, and enough backlighting to give the images a little lift. There was pyro for this show, but due to the shooting angles, it was mostly out of frame with Kid Rock on the stage extension whenever it flared up. 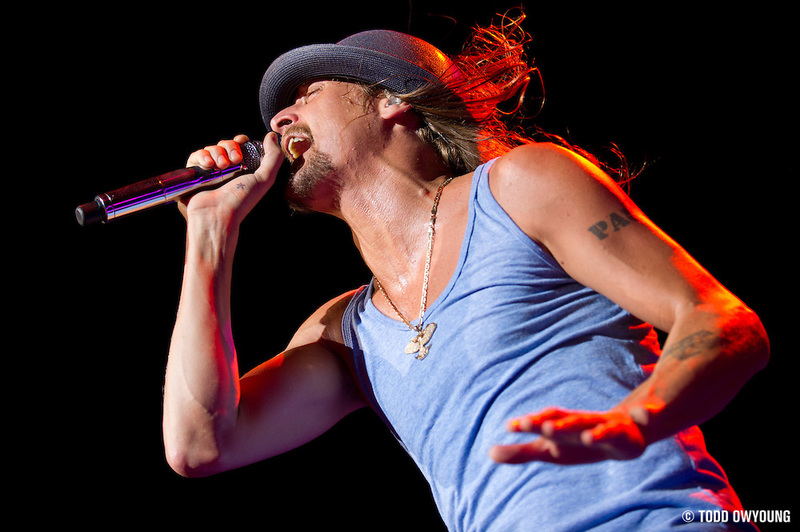 Was thinking of this post tonight as I shot Kid Rock. He was one of the best lighting setups I’ve encountered. Also, the closest I’ve ever been to pyro in my life!